10741 Birmingham Way, Marriottsville, MD. Our phone number is (410) 750-7855. 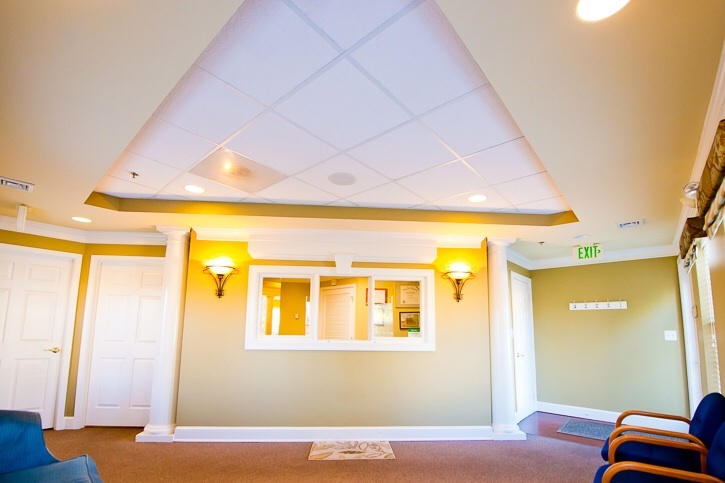 There is plenty of free parking in front of our offices, and we are 100% handicap accessible. For directions, please click the map on this page. We are located in Waverly Woods, one mile from the Marriotsville Road exit of I 70. Head North on Marriotsville Road, take the first possible right onto Warwick Way and then a right onto Birmingham Way. Our driveway is the first right AFTER the Weis Market shopping center. Head straight and you will arrive in front of our building. We look forward to meeting you.